Although celebrities tend to be wholesome and glowing with their fabulous healthy diets, a lot of them do have chronic illnesses that plague them. Despite having fame and wealth, celebrities who are often looked upon as being untouchable, are human and do get sick. It’s just another reminder, that they do have some things in common with the rest of the world when they are not in the tabloids, or starring in another lead role, or jetting off on vacation. Here are ten celebrities who currently (August 2016 update) suffer from health related illnesses. Jack Osbourne: Who was known as the wild child of the Osbourne family, is now 29 and has a three year old child. He was diagnosed with multiple sclerosis which has a whole host of symptoms due to the nerve cells in the brain and spinal chord being damaged. There is no cure for this disease, and is the most common autoimmune disorder that affects the central nervous system. Miley Cyrus: Suffers from Tachycardia which increases the rate of her heartbeat so that it beats at a faster resting rate. Often adults who have a resting heartbeat of over 100 (rather than the average 60), are known to suffer from tachycardia. Jon Hamm: Has Vitiligo which is a chronic skin condition that causes portions of skin to lose their pigment causing blotchy spots. There is no known cure, and the cause is unknown, however it has been linked to other autoimmune diseases, as well as oxidative stress. Jon states he never experienced it prior to his role on the popular show “Mad Men,” so stress may be the cause. Michael J Fox: Who is known for his iconic role in Back to the Future, suffers from Parkinson’s Disease which is a movement disorder caused by the lack of dopamine being produced by the nerve cells in the brain. Prince: Known as a popular figure for his music, he suffers from Epilepsy which is a brain disorder that causes reoccurring seizures. Essentially when nerve cells or neurons send out the wrong signals, this is what causes seizures. Epilepsy is known to cause abnormal brain development, brain injury as well as cause violent muscle spasms. 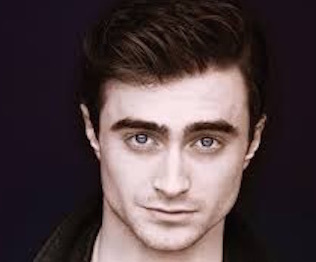 Daniel Radcliffe: Is famous for portraying Harry Potter in the Harry Potter Films, suffers from Cluster Headaches which are a series of headaches that create pain on one side of the head. Often the pain is severe, and it comes in waves. It is not a common illness, but it can definitely disrupt daily activities. Alec Baldwin: Is known for many roles including a leading role on Beetlejuice and The Departed, suffers from Lyme Disease which is a bacterial infection that comes from a tick. Although most cases are curable, it is best treated in its early stages. It can cause fever, headaches, muscle and joint aches and stiff necks. Michael C Hall: Is best known for his role as Dexter Morgan on the television show Dexter but also played David Fisher on HBO’s Six Feet Under. He suffers from Hodgkin’s Lymphoma which is a cancer of the lymph system. The lymph system is a part of the immune system, and the disease has no known cause. Lady Gaga: The famous singer has Lupus which is an autoimmune disorder that attacks healthy cells and tissues in your body. The most common type of lupus is systemic lupus erythematosus. This is a serious health condition which affects various parts of the body. She also suffers from Synovitis which causes inflammation and swelling in tissues, most commonly found in hips. Luckily synovitis should only last a short while, but is a related symptom to lupus. Halle Berry: Is best known for her roles in X-Men as well as the Flintstones, she suffers from Type One Diabetes which means her pancreas does not create insulin. The body uses insulin to regulate your blood glucose levels. When your blood sugar is too high it can lead to serious issues with the heart and nerves. All of these diseases can cause debilitating symptoms which can put them into poor health if not managed correctly. We have the highlights from the 2014 Kids’ Choice Awards! For all this and more, watch today’s rundown! The life of modern celebrities is amazing: chronic divorces, break ups, new marriages, lawsuits, and much more like in a wild zoo. The causes of this are probably in lousy health and awful lifestyle that are promoted by modern culture. A sick body should lead to an unhealthy mind however popular and financially rich a certain celebrity could be. In fact, the rate of chronic health problems among contemporary famous people is slightly higher than in the average population. Join the meditation movement with this music to meditate, relax and heal. Celebrities invest in their appearance to stay longer in the industry. Most of them resort to plastic surgery to keep them looking younger and stay beautiful. Unfortunately, not all plastic surgeries become successful. Some actually go wrong that despite corrective measurements were done; you can no longer bring back your original appearance. Admit it or not, beauty is a significant aspect of one’s career and similarly, in one’s life. And in the industry of showbiz, beauty is an investment whatever your age is. The popularity of plastic surgery among celebrities has grown over the years. They resort to plastic surgery to maintain their appeal to stay competitive in a world full of many beautiful people. Unfortunately, not all surgery becomes successful. There are many procedures which have gone wrong. As a matter, you can see below several plastic surgery procedures that were done on several celebrities which went bad to worse. cosmetic surgery caused the downfall of her career. The cosmetic procedure that Big Ang underwent turned into a huge disaster. She had the procedure done on her lips and on her bust line. The result was not what she expected. It was so out of the line that it is considered among the worst plastic surgery done on a celebrity. She looked really awful as her looks are now so distorted. Though Hunter Tylo was already very beautiful, she was not contented and wanted to become more beautiful than she already are. She underwent to plastic surgery to improve her appearance. She did procedures on her bust, lips, cheeks, and nose. Unfortunately, the procedure did not produce results the way they expected it to be. When you compare her old and recent photos, you will see the big difference; sadly, the result turned out for the worse. She now looks unnatural. Gone is the face that once was beautiful. desirable results. As a matter of fact, she now regrets having done the procedures. Now her natural beauty went to waste while the cosmetic surgeon who performed on her will forever haunt his career. When Tara chose to undergo the procedure on her breasts and stomach, which are not actually so bad, despite what she thinks, she looked ok; at least, until the surgery. After the surgery, her stomach developed wrinkles while her breasts do not look good as they are not balanced. She underwent corrective procedures, but the damage was already done and it is irreversible. Joan Rivers look really beautiful and amazing. But because of her strong desire to stay beautiful, she got obsessed with many cosmetic procedures. This obsession started in the 1960s. With too many facelifts and excessive Botox injections, she now looks very unnatural and ugly. Glamping is an activity that can give one a very amazing and unforgettable experience. It is outstandingly attractive and that is why even some celebrities have joined in for glamping. Celebrities like Justin Beiber, Mathew McConaughey and actors of Real Housewives of Orange County have shown their desire in glamping publicly and this is a reason why even the normal people ought to join in on glamping so they can know what the fuss is all about. There are various reasons why celebrities would love to go glamping and this could be explained in a number of ways. The Glamping tents are very unique in such a way that they try to offer its user with a comfortable and warming experience that can not be found in the other normal tents. Some of the many accessories that are necessary in order to ensure that your glamping experience is perfect are stipulated below. Good Lighting. Proper lanterns lighting are what one of the many things that make a glamping experience attractive, romantic and very memorable and therefore if you want to have a good experience then you ought to ensure the lanterns are in order and of good quality. A Tub. A preferably hot tub is also necessary to increase your glamping experience. This tub should be situated just outside near the tent so it can give the camper a nice view while enjoying the hot tub. Bedding. To increase your comfort during your stay you will also find it in your best interest to have the best bedding with you. Lovely and smooth bed sheets, a duvet in case of changes in weather and some soft pillows are among the bedding that will increase your comfort at night during your entire glamping stay. Glamping just like other campings should also provide a fire pit or rather a wood burner which are to provide warmth at night and also assist in lighting. The fire could also be used for cooking. Glamping trips also provide to their customer amazing bathrooms with nice scented bathroom products such as moisturizes and soaps to help you relax and enjoy your entire glamping experience which can not be found in other normal camping tents. Glamping tents also have a variety of advantages over the normal tents like for example the glamping tents make it possible for you to install air conditioning equipments unlike in other normal tents. When moving, glamping tents do not have to be necessarily destroyed like it is the case with normal camping and this also shows how Eco friendly the glamping tents are. Unlike the other normal manufactured tents, Glamping tents are well manufactured so that they can allow you to be able to light fire inside the camp without the fear of a tragedy occurring. Additional details can be found here: How Are Glamping Tents Different From Normal Tents. Glamping is therefore capable of giving you a good camping and memorable experience. As long as you have the right and best accessories and have chosen the best site then you are definitely guaranteed of a lifetime experience. Here is more about “What are the best accessories for Glamping”. And they could be right since the number of clinical studies they quote is really huge. Check it out.